Ilaria has a B.Eng. and M.Eng. in biomedical engineering from the University of Pisa (Italy), and she worked at the Centre of Human and Aerospace Physiological Sciences of King’s College London (UK). She has a structured PhD in neural engineering from the National University of Ireland Galway (Republic of Ireland). 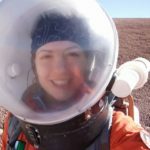 Ilaria has completed the Space Studies Program of the International Space University at TU Delft (The Netherlands), and now she is postdoc at Tufts University working in collaboration with US Army Natick Soldier Research Development and Engineering Research, and with the Center of Applied Brain and Cognitive Sciences. Ilaria is also associate Fellow of the Aerospace Medical Association, President-Elect of the Aerospace Human Factors Association and Member-at-Large of the Life Sciences and Biomedical Engineering Branch. 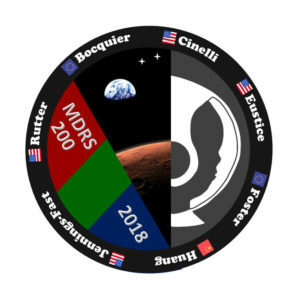 The Mars Society chose her as crew Commander of Crew 158, 172, 185, 196, 200 and awarded her with the Emerging Space Leader Scholarship multiple times. Ilaria was featured HBO, French TV, Irish Times, Engineers Ireland, Rai TV, La Repubblica, Le Monde and many others. She was also features on the IEEE Pulse, and was Invited Speaker at the IEEE EMBC EMBS 2017 and 2018, University of Southampton, University of Porto, and University of Pisa, TEDxPadova, International Space Medicine Bellagio Summit II and the ESA Moon-Mars workshop. 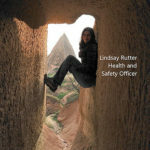 Lindsay Rutter, health and safety officer, recently completed a graduate degree in bioinformatics at Iowa State University, where she published open-source visualization tools for large biological datasets. 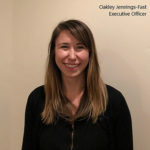 During this time, she served as team lead in two hackathons at the NCBI, where she saw firsthand that diverse teams working toward a common goal can be exhilarating and productive. Lindsay has been drawn to space-related projects ever since reading Contact as a teenager. She interned at NASA Ames Research Center in the Astrochemistry Lab as an undergraduate student and again in the GeneLab as a graduate student. At the GeneLab, she processed data for an online repository that “democratizes data”, allowing citizen scientists and scientists alike to discover patterns in space biology. Lindsay valued working in international teams during graduate school, both as a NSF EAPSI researcher in Okinawa, Japan and as an astrobiology summer school student in Santander, Spain. She is beyond excited to join this international mission with crew members who share a passion for space exploration. A mechanical engineer by background, Andrew has been working in the energy industry for around 20 years, primarily in drilling operations management. He is currently working on his MBA in Sustainable Energy in his spare time. He has lived in a number of countries around the world and is a keen astronomer and astrophotographer. As a means to promote public outreach he runs a small astronomy club in Western Qatar and can be seen up on the Jebel most weeks, stargazing with members of the public and students from the local school. He is a member of several astronomical societies and has a young family. 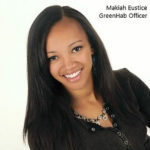 Makiah Eustice, GreenHab Officer, is an undergraduate student at Texas A&M University, USA. Born and raised in Texas, she discovered her love of space in high school, when she heard of companies wanting to send humans to the red planet. In May, she will graduate with a B.S. in Aerospace Engineering and commission as a 2nd Lieutenant in the United State Air Force. She was selected for the Brooke Owens Fellowship Program as a rising young leader in the aerospace industry. Makiah currently serves as President the Texas A&M student chapter of SEDS (Students for the Exploration and Development of Space), which supports a CubeSat design team, K-12 outreach, speaker meetings, and many social events. She is a research assistant in the MAESTRO lab, working with material characterization and optimization of Shape Memory Alloy applications. Makiah has traveled to Brazil, Costa Rica, and Panama, but hopes to get an international, extra-terrestrial experience at the Mars Desert Research Station. Oakley Jennings-Fast has many passions. Acting, space and science, and Mars. She received her Bachelors of Science in Chemical and Biological Engineering from University of Colorado Boulder while working as an actor for Affinity Arts Consulting. She currently lives in Oakland, CA (because Oakley in Oakland just had a ring to it) where she works as the Maintenance Supervisor at a production site for BASF. Meanwhile, she enjoys rock climbing and volunteering at the Chabot Space and Science Center. She believes sending humans to Mars is one of the most extraordinary and important goal of this century. This is human progress like we have never known. Sending humans to Mars means dreaming bigger than we ever have before. Creating an interplanetary species means the survival and progression of mankind. This is the next step in our future and I would be privileged to contribute to this effort. 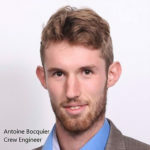 Antoine Bocquier is the crew engineer of the mission. French engineering student at Centrale Lille, he is currently doing a gap year to develop his passions for space exploration and entrepreneurship. 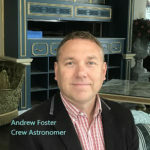 Curious and passionate, he is involved in various projects dealing with engineering, science, or business, all linked with the space domain. 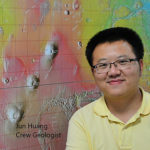 Currently business developper at ispace Europe (lunar delivery transport), he recently gained experience as a system engineer intern on the Mars Sample Return project (Thales Alenia Space) and achieved the CNES ActInSpace competition, winning the 1st national and 2nd international prizes, applying space technologies to road safety. 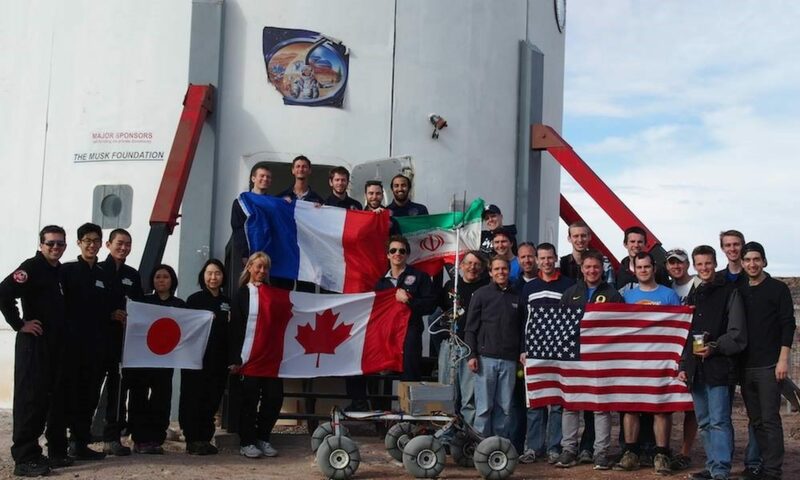 He is part of the French Mars Society and the Space Generation Advisory Council where he was awarded by CNES among the French students showing “outstanding motivation and activity in the space sector”. He appreciates working in a diversified and multidisciplinary environment, addressing challenging with a dynamic team to make innovative ideas come true. Fond of travel, he loves hiking and nature running.